Egypt’s stock benchmark ended in the green on Thursday, posting good weekly gains on the back of strong quarterly earnings of several listed companies. Benchmark EGX 30 gained 1.02 percent, to close the last day of trading this week at 14,350 points. For the week, the main gauge booked a growth of 0.22 percent. 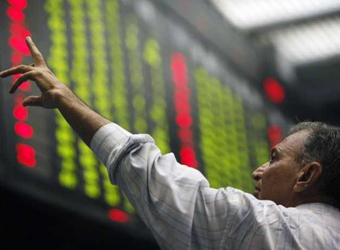 The mid- and small-cap index, EGX 70 fell 0.52 percent in a week closing at 785.6 points during Thursday’s session. Price index, EGX 100 also made a weekly decline of 0.17 percent closing at 1,774 points. Market capital registered weekly gains of 7.7 billion Egyptian pounds ($436.1 million) as it closed on Thursday at 788.516 billion pounds, compared with 780.8 billion pounds the previous week, the Egyptian bourse said in its weekly report. During the week, the trading volume hit around 1.976 million securities, compared 2.258 million a week earlier. For the traded value, it reached around 7.5 billion pounds against 7.3 billion pounds a week earlier.